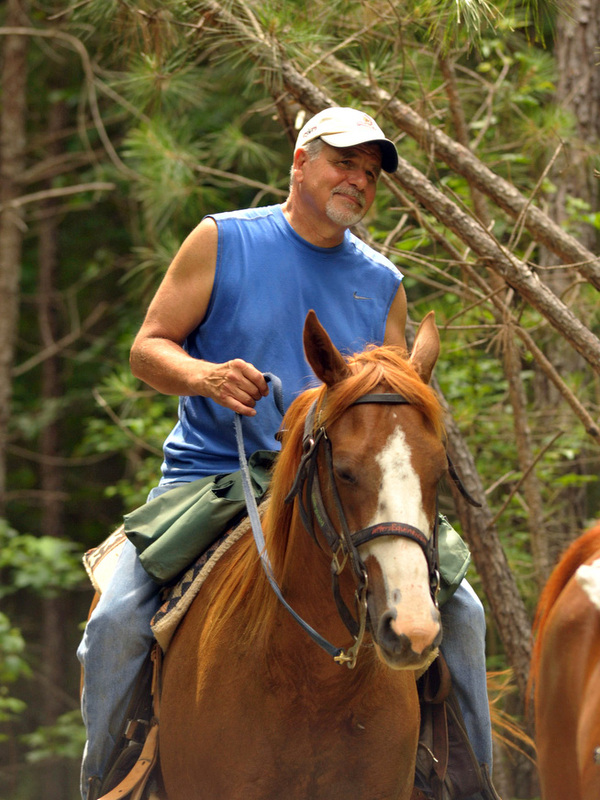 Come ride more than 10 miles of wooded trails at Dead Broke Farm – a 110-acre farm conveniently located in Raleigh, NC. 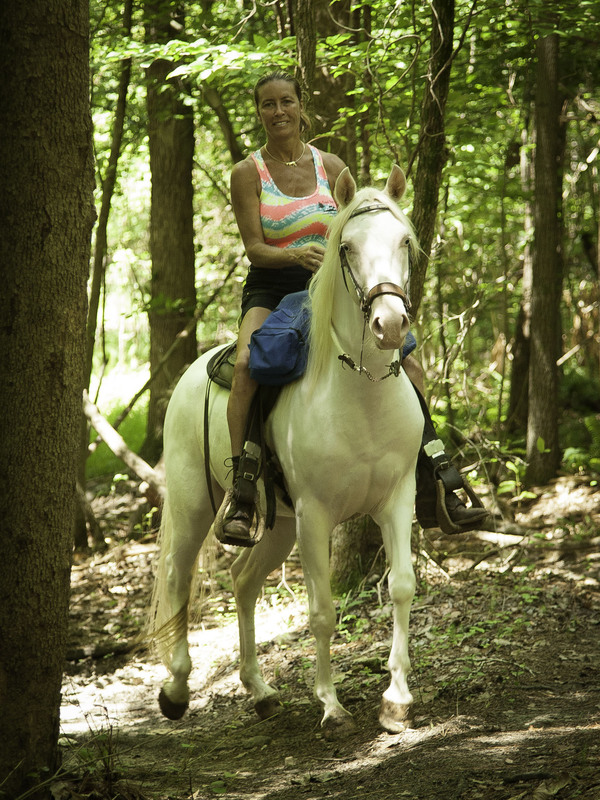 Our bridle trails have rolling hills, creek crossings, lots of beautiful hardwood trees, and wildlife. Deer, cranes, and turkeys are often spotted on our trails. Our trails are suitable for beginners but challenging enough to be interesting for more experienced riders. Located near I-40, I-540, Hwy 70, and Hwy 98 within 30 minutes from downtown Raleigh, Durham, Cary, Apex, Garner, Clayton, and Wake Forest. Children must be 6 years old or older to ride on their own. The cost is the same regardless of age since everyone is provided with a horse. 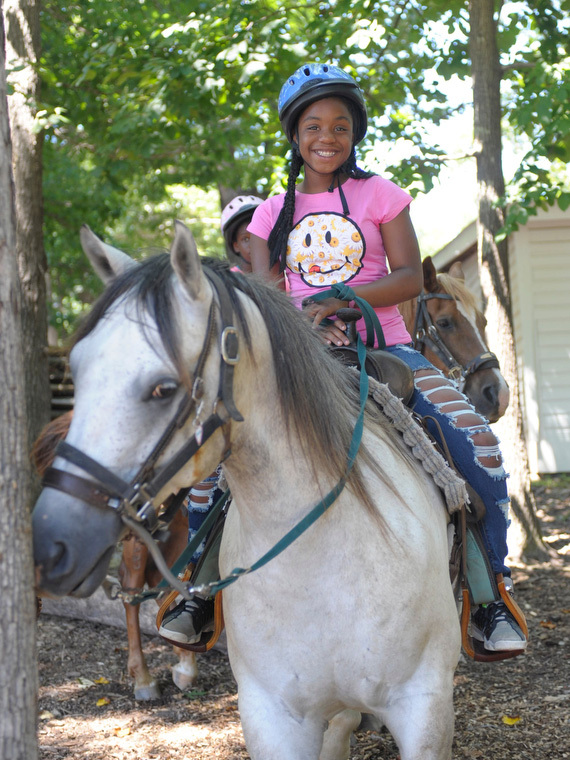 However, we do allow younger children who are 2 years old or older to go on our trail rides, but they are assisted by our experienced guides, and there is an additional $10 fee for the dedicated guide. We are open year round for horseback riding, 7 days a week March - Oct and on weekends only during Nov - Feb. However, we are open on ALL national holidays even if they occur on a weekday except Thanksgiving Day and Christmas Day, so we are open on New Year's Day, Martin Luther King Jr Day, George Washington's Birthday, Memorial Day, Independence Day, Labor Day, Columbus Day, and Veteran's Day. We're also open Thanksgiving week (except Thanksgiving Day), and the last 2 weeks of Dec (even on weekdays). *If the holiday falls on a weekday, you must call (919) 596-8975 to make your reservation. Online reservartions aren't available on weekdays during the winter. However, online reservations are available year-round for weekend dates. If you enjoy your ride, tip your guide! $10 fee for riders who weigh more than 200 lbs to help us offset the cost of feeding and shoeing our large draft horses. $10 fee for children under the age of six years old who need their own dedicated guide to ensure a safe riding experience. Private rides are available for an additional $50. The private fee is a flat fee and covers everyone in your group regardless of the duration of your ride. For example, you would add $50 to make a ride private for an individual doing a 2-hour ride. Similarly, the cost would be $50 extra for a group of 4 riders doing a 1-hour ride. In other words, the private fee is a fixed cost independent of the number of riders or how long you're riding. It's purpose is to help us fund an additional guide for the day. We no longer accept credit cards as a form of payment. You may use a credit card (Mastercard, Visa, or Discover) to secure your reservation with a deposit, but no credit cards or checks will be accepted when paying your balance at our farm. Feel free to bring bottled water with you. We recommend you wear long pants and closed toed shoes. Shorts are okay, if you don't mind possible chafing from the saddle or possibly a skinned knee if you allow your horse to get too close to a tree. Please note that, depending on the number of riders, it will take up to an hour for us to get your up on your horses and headed down the trail. We will ask you to complete a Release From Liability form, collect the balance of your payment, give you a brief (10 min.) 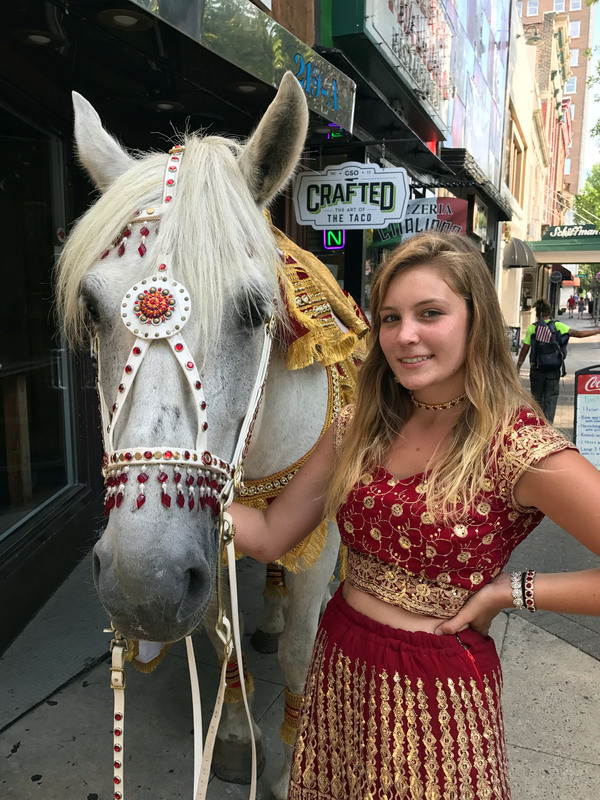 riding demonstration, help you to mount your horses, adjust your stirrups, and make sure your saddles are tight before the start of each ride. However, there's no need to arrive in advance of your scheduled ride time. We simply want to make you aware that it takes time for us to get you ready to ride, so you'll be at our farm a little longer than the 1 or 2 hours that you are scheduled to ride. In any case, your ride doesn't officially begin until everyone is mounted and the horses leave the barn headed for the trail head. We have other animals (dogs, cats, guineas, a Mini, and a donkey) for you to see and enjoy while you wait. In other words, we're a bonafide farm. Reservations and a $40 deposit are required to ensure availability, so make a reservation today, and get taken for a ride at Dead Broke Farm!